Tell us about the history of LPL Projects, when the company was started and who are the owners today etc.? Under the name LPL we have been in the market since 2003. But we have been doing project business since the late 1970s, formerly as a department of the Lehnkering Group. LPL is a privately owned company, specialized in the field of worldwide project business with a total of around 100 employees. Presently we have, besides our 4 offices in Germany, own offices in Egypt, Italy, Malaysia, Spain, Saudi Arabia, Mozambique, South Africa and a new office in the US. Beside our own offices, we are proud that we have built our own network of experienced project forwarders worldwide. We know all our partners personally and have working experience with them. The basis of our cooperation with them is trust in each-other. 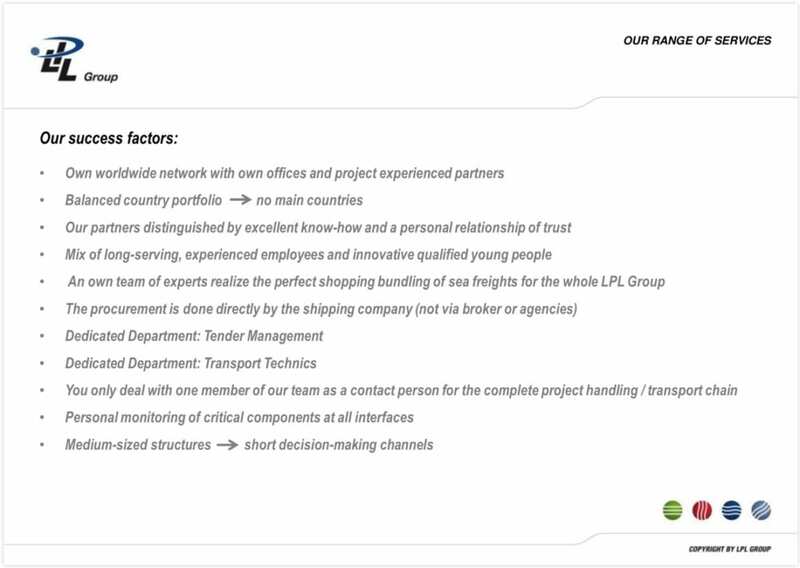 Provide us, if you will, with some examples of project cargoes that you have handled for overseas destinations, projects that you are proud of having executed for your customer. Please find enclosed an extract of our reference list (Reference 1 and Reference 2). In addition please find Case Study 1 and Case Study 2 for the just finished projects to Egypt and USA. Further videos with more details about the project are also available on the channel. There are many freight forwarders who call themselves experts in project cargo in the market. How do you distinguish yourself from others? In my opinion, the most valuable item in a company like ours is the people. We have a perfect mixture of very experienced people with a long history of LPL and motivated young people who are hungry to learn more. Another key factor is the network of experienced partners worldwide, our own technical department with experts, direct access to shipping lines and shipowners, etc. Another important factor is IT-solutions. We established our own project planning tool under the name “LP Connect”. This tool gives the client a lot of possibilities and information for their entire project. How is the market situation at the moment, do you feel that there is a lot of competition currently? Presently there are not many big projects in the market. We see a lot of tenders, but the key factor is still financing of the business. With the increasing oil price more project tenders are coming to the market. There is a lot of competition, especially in Germany. We are also seeing a lot of forwarders who tried to start with the project business in the last 3-4 years disappear from the market. Succeeding in the business of project freight forwarding requires a long breath and financial investment. Some rumors have it that certain shipowners are trying to contact and visit direct shippers, thus in some ways “cutting out” the project freight forwarder – how do you view this? If the rumor turns out to be true do you think the shipowners will succeed in their endeavors? I see shipowners as our partners in this business. If there is not enough cargo in the market everybody is trying to get a piece of the cake on a direct basis. I think it will not be successful because specialized project forwarders give much more service to the customer than a shipowner can. Besides that, it is also a question of liability, a specialized forwarder offers a much wider range to the customers in this regard. Tell us about your own background in freight forwarding. When and how did you choose this career? What do you like most about your work? 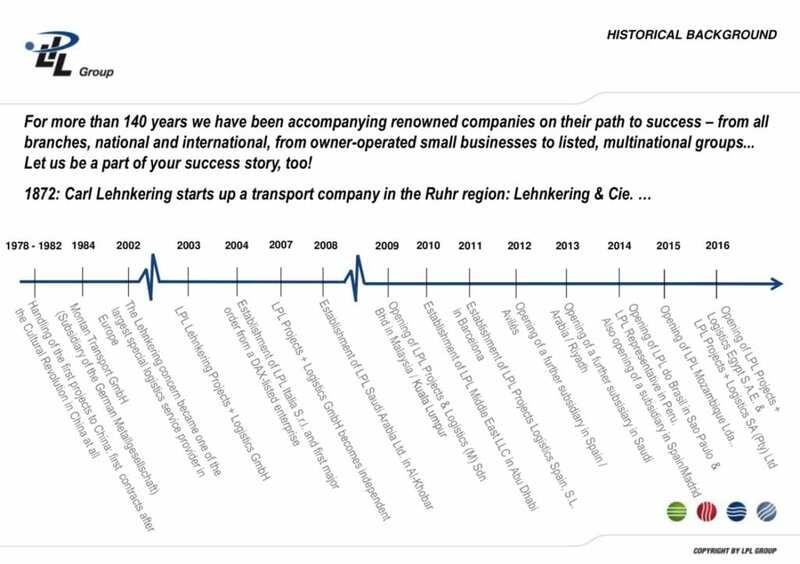 I started my apprenticeship in 1985 with Dacotrans in Frankfurt and joined Lehnkering after my military service in 1993 as a Project manager. After several positions as branch manager and head of the project division, I became the managing director on 2010. During that time I handled a lot of projects by myself. How to get in touch with you for information and inquiries?